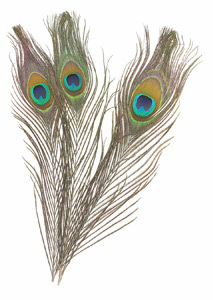 Peacock Feathers are a traditional favorite for costumes, jewelry, collages, and craft projects. The colors are brilliant. Each package contains 12 quality peacock feathers. Each feather measures 10" to 12" long.